Pakistan is one of three countries where the transmission of the virus has never been interrupted. At the beginning of this year, seven additional health workers were killed and the vaccination program was just relaunched on this past Tuesday. There are signs that this campaign, which depends on the efforts of volunteers and low-paid health workers who work in solo or small teams, is faltering as the health workers are staying home. The Lancet states that this might have an effect on neighboring Afghanistan, which, together with Pakistan itself and Nigeria, is one of the remaining polio-endemic countries. 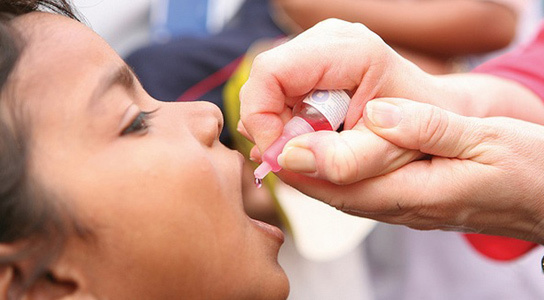 In 2003 to 2004, there was an immunization boycott in northern Nigeria, which was led by religious and political leaders, claiming that the oral polio vaccine could cause sterility. This led to the poliovirus rebounding in Nigeria and spreading to 15 African countries and Indonesia. The CIA, under the pretense of administering an injectable hepatitis B vaccine, was attempting to harvest DNA from children who were believed to be related to Osama bin Laden. They didn’t succeed. Be the first to comment on "Current State of Polio Eradication"